Here's Tim wearing his Christmas present! I gave it to him early because I can't keep a secret. The sewing blog and indie sewing pattern worlds have been abuzz with tons of new tunic patterns lately (see Hey June Cheyenne, Itch to Stitch Mila, etc). While I have been tempted by and have even succumbed to that new pattern buzz, before I jumped into sewing those newer patterns, I wanted sew up a tunic pattern that's been in my stash for a bit longer. A few months ago I stayed a few nights at my (generous) friend Meghan's apartment for several nights. While I was there, I was rocking my Tofino pajama pants (#memadeeveryday), which earned compliments from her. She liked the piping and the fun colors. I've got a review of the new Style Arc Ebony Woven Pant over at the Curvy Sewing Collective! This is latest pattern from Lauren at Baste + Gather, the Birkin Flares. 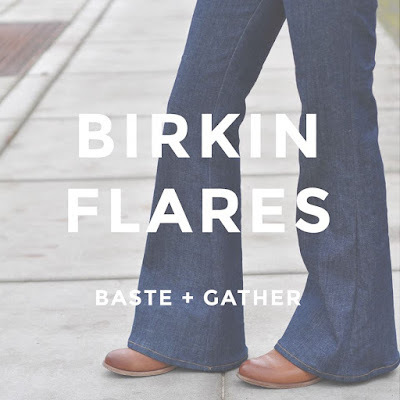 The Birkin Flares are described as "high-waisted, flare-leg, classic jeans that are equally perfect with your comfiest tee or a flowy, silk blouse." You can read about the pattern release here on Lauren's blog. I've made a Grainline Studio Tamarack Jacket! Spurred on by #bpsewvember's UFO prompt, I finished my long-neglected Sylvie dress! Thanks for the push, Amanda! Apparently it's been weeks since my niece, Anna, has voluntarily worn anything but a princess dress. A polyester nightmare princess dress. I wanted to make her something still princess-y, but a bit more practical and wearable. I am a practical New Englander at heart, after all. So, naturally, I decided on the dress her namesake wears in Frozen. And while I was at it, I had to make one for her older, occasionally dramatic sister, too: Elsa. Big news: I'm now an editor at the Curvy Sewing Collective! The lovely ladies of the CSC were kind enough to offer me and Gillian (the knit queen of Crafting a Rainbow and Sewcialists) a chance to join them on this awesome adventure. Read all about it here! I am so thrilled and honored to join the CSC in its mission to educate, inspire and encourage more curvy women to sew their own clothes. You can read more about the CSC's creative, supportive and dynamic community here. I hope I can help keep this empowering conversation going!! If you have any thoughts, ideas, or suggestions about the Curvy Sewing Collective, please don't hesitate to reach out to me or one of the other editors! Oh man, I started this Mini Sutton Blouse for my niece so many months ago, back when it was seasonally appropriate for her! I made a flannel shirt. Yep, flannel. These are my tester version of the Men's Hudson Pant, the manly version of everybody's favorite Hudson Pant from True Bias. I've succumbed to the allure of the Inari Tee Dress. Just in time for fall, Snapdragon Studios has a new jacket pattern out! 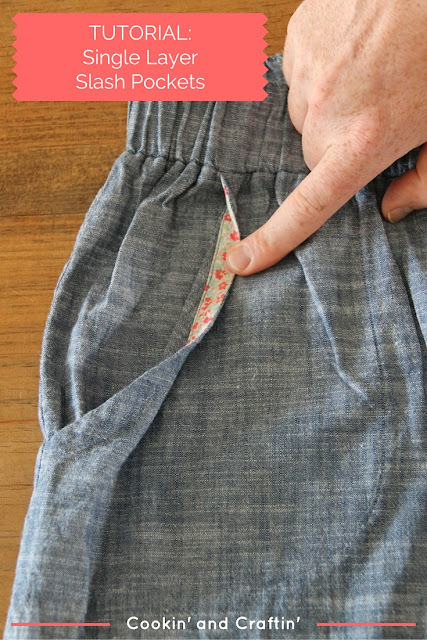 I've had my eye on the Blueprints for Sewing Saltbox pattern since it came out as part of the Sewing Indie Month bundle... those asymmetrical angles! So cool! So elegant! Super happy with this make from earlier in the summer (as you can tell from my relatively long hair)!! Anna + Veronika = Annonika? I was a tester for the newest True Bias pattern, the Roscoe Blouse and Dress, a boho-style, loose-fitting peasant blouse or dress with raglan sleeves, a gathered, split neck with ties. When I make pants that have a slash style pocket, I tend to like to make it a one-layer pocket to reduce bulk in my hip/thigh area. 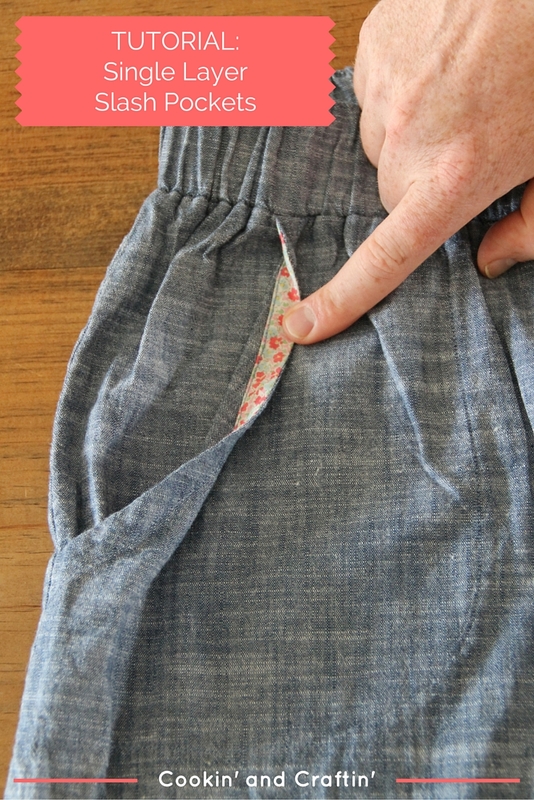 I've used this type of pocket many times, including on my recent McCall's 6083 jumpsuit, two pairs of Hudson pants (cropped and chambray), my two Bettines (rayon and lawn), Tim's Juba shorts, and my Ilsley skirt. I had some requests for an explanation of what I mean when I say "one-layer pocket," so I made a tutorial. A very, um, rustic tutorial, but hopefully it explains what I'm talking about! I made a jumpsuit!! And I have a lot to say about it! 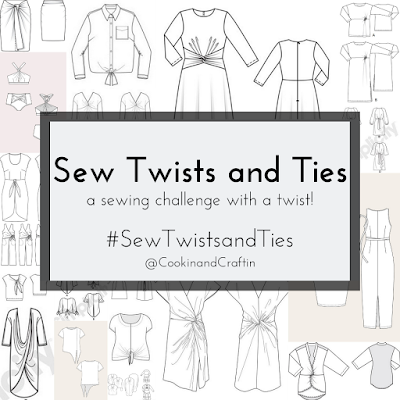 Selfish Sewing Week: Corporate/Office Wear Round-Up! Whoop whoop, it's Selfish Sewing Week! Time to sew something for yourself! I've been in need of a simple black t-shirt to wear with some of my louder me-made skirts (for example: my yellow Veronika). A black t-shirt that is a bit dressier, though than some of the other, slouchier t-shirts I've been making of late. I wanted it to be appropriate for wearing to work and/or out and slim enough to be tucked in without too much bulk. When the latest Seamwork Magazine patterns came out, I was intrigued by the Akita blouse... one pattern piece? Could it work? This is the Lemon Squeeze Cardigan from Snapdragon Studios, a lovely and versatile cardigan pattern. Happy Anniversary to Straight Stitch Designs! Tim requested some "sleeping shorts" made from "t-shirt material." I translated this to mean simple, comfy, elastic waist shorts in jersey knit. Damn, I love the colors on this blouse! Here's a Made by Rae Josephine blouse I made for my Mom. I've made Josephine for myself several times in the past. I love the pleats (pintucks?) and the wide (but not too wide) neckline and thought my mom would like it, too. Roses and bows and tulip sleeves... who am I?! If you're on Instagram and following me, you may have noticed the photo I posted as part of House of Pinheiro's Sew Photo Hop on Sunday. Based on Rachel's prompt, I posted a photo of my fabric stash. My excessively large fabric and increasingly disorganized stash. Can you believe I have never made or worn a circle skirt before now? After falling in love with Hey June's v-neck t-shirt, the Union St. Tee, I thought I'd give one of her other t-shirt patterns a go... the Lane Raglan pattern. For Mother's Day, way back in May, I made a Sewaholic Oakridge bow blouse for my mom, but only recently got some photos of her wearing it. Colleen, avert your eyes. Spoilers abound. A good friend of mine is getting married in September and is have a mini-bachelorette/wedding shower next month. While I can't attend, I wanted to send a little gift... the other girls were joking that I should make her a hand-sewn lingerie set, or maybe a Saucy Safari get-up for our environment, travel and hiking loving friend. I was going for alliteration in the title, but I'm pretty confident that "blotchy" is not really a good adjective to use in this context. What other word could I use for this fabric, though? Mottled? Splotchy? Dappled? It's International Anna Party time!! I sewed up a McCalls' 7093 this week with some lovely rayon challis from Imagine Gnats... go read all about it!! Oooooh, I am in love with this top I just made with the new Made by Rae Beatrix pattern!